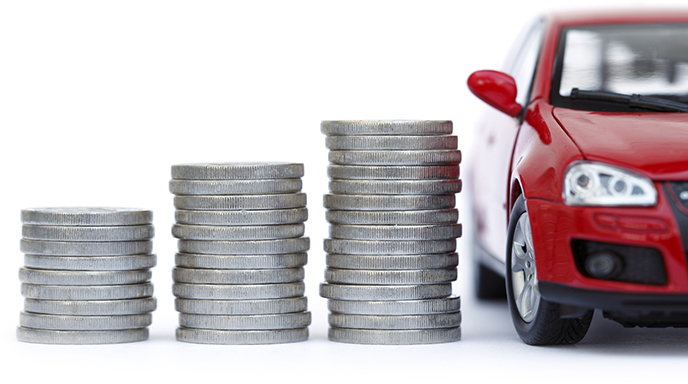 Purchasing a vehicle is a big investment — the down payment, your monthly payments, insurance, maintenance and repair costs. Whether you keep it for several years or plan to trade it sooner, you should protect your investment. Here are four factors that affect your vehicle’s trade-in value, and ways to boost your return when it’s time to sell. Use a professional service to detail the interior once in a while, in addition to cleaning it on your own. Also, buy new floor mats before you sell. Wash and wax the exterior regularly, and take care of any small dings and dents to get the best trade-in value. Brands like Honda, Toyota, Subaru, and Hyundai rank high in the resale market and usually maintain about half their value in the first three years of ownership. Luxury vehicles like Mercedes, Audi, Infiniti, and Lexus fare best in terms of luxury brands. If the model you’re purchasing is popular as a new car, it is most likely attractive as a pre-owned vehicle, too. Before buying, think about resale in your local market. If you’re trying to sell a convertible in a cold climate, you’ll probably not get the best trade-in value for your used vehicle. Also, certain regions make AWD a must-have feature. Appraise and buy your current car. We’ll even pick it up! Find your next car and deliver it to you with all paperwork. No jumping dealership to dealership! Offer both new and used vehicles and have lots of top brands including Honda, Subaru, Toyota and much more. Protect your car with our extended warranties. Avoid costly repairs with our customized plans. Call 800-590-0145 to enjoy a hassle-free car buying experience! Llámenos al 800-998-0574 para hablar de sus necesidades de compra de autos!